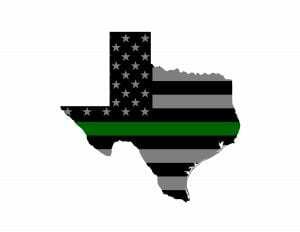 Our Union, known officially as NBPC Local 3307, represents non-supervisory Border Patrol employees who work in the Rio Grande Valley Border Patrol Sector. Our members are located in every Border Patrol Station in the RGV Sector, as well as at the Sector’s Headquarters in Edinburg, Texas. Local 3307 is under the direction of seven Officers elected by the membership to serve as members of the Local 3307 Executive Board (E-Board). The E-Board consists of the President (Paul A. Perez), Executive Vice-President (Albert Trevino), three Vice-Presidents (Chris Cabrera / Juan Ayala / Manuel Rocha), a Secretary/Treasurer (Juan Hernandez), a Sergeant At Arms (Hector Guerra), and an E-Board appointed position, the Local 3307 Health & Safety Officer (Jose Rosales). Local 3307 has a Women’s & Fair Practices Coordinator (Belma De Leon),an EEO Director (Hector Guerra), an Operations Manager (Ram Gonzalez), and a Workers Compensation Director (Jonathon Perkins). There are 17 appointed Chief Union Representatives, each of whom oversee the Union activity at their respective stations. All E-Board Officers, Coordinators and Directors are Border Patrol Agents with many years of experience, both in the field, and in dealing with administrative matters that affect our members. The E-Board is supported by 85 Union Representatives located at stations throughout the RGV Sector. Each Union Representative is trained to assist members of our Union in all facets of their employment. Local 3307 Union Representatives are volunteers who are dedicated to ensuring that our Collective Bargaining Agreement (CBA), as well as laws, regulations and policies are adhered to and applied consistently and fairly throughout their respective areas of responsibility. We represent non-supervisory Border Patrol Agents, as well as many support personnel, assigned to all nine Border Patrol Stations and the Headquarters of the Rio Grande Valley Border Patrol Sector. Our Representatives assist members with issues such as grievances, responses to proposals for discipline, representation before investigative bodies (Office of the Inspector General – OIG / Office of Professional Responsibility – OPR / Management Inquiry Team – MIT), and access to the PORAC Legal Defense Fund (LDF), which in turn provides attorney representation to outside investigative agencies (Local, State & Federal Law Enforcement, to include municipal police departments, DPS Texas Rangers, and the FBI). Local 3307 also has access to seven NBPC Legal Division Attorneys located throughout the United States, to include Rodney Sipes, a NBPC Attorney based in Edinburg, Texas. As a Union Member, you join an organization which exists solely for the protection of our members. As Federal Law Enforcement Officers and employees, our members require the best protection available to ensure that they are not subjected to unfair or unjust discipline, or unwarranted criminal and civil prosecution. Furthermore, we protect our members against harassment and unwarranted investigations. We ensure that our members’ workplace rights are respected and we vigorously pursue those who choose to violate them. We do not tolerate bad management and we strive to ensure fairness and equality in our workplace. There are many outstanding leaders in management positions throughout the Rio Grande Valley Sector and Local 3307 enjoys a great working relationship with them; however, we remain vigilant because of those few managers who feel that they do not have to respect our members’ rights. Our union has represented hundreds of members in our sector, in all areas of their employment. We enjoy a very high rate of membership among eligible employees, with some stations having a membership rate close to 100%. There are many benefits to being a member of Local 3307 of the National Border Patrol Council, yet the single most important reason to be a member is to provide assurance to yourself that in your specific time of need, you will have the collective voice of a Strong Union and you will NEVER stand alone!